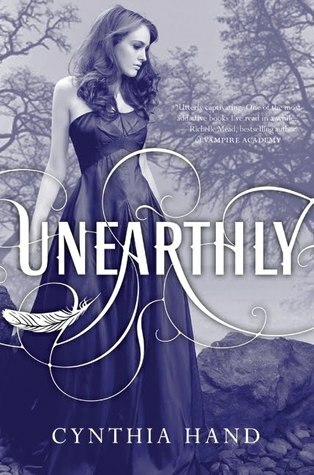 I was hesitant to pick up Unearthly because I wasn't a big angel-genre fan, but after reading some great reviews and finding it on sale for my Nook at B&N, I thought I'd give it a shot. I wasn't disappointed. Then, Hand's excellent writing, plotting and relationship building work their superior magic on me. Before I knew it, it was two hours later and I was sucked into the story with a fierceness: What's the reason behind the vision? Will she ever get Christian to like her enough for her to save him? Can't Tucker quit picking on her? My, what great BFF's she's found! Wow, her mom's pretty cool (and around which in and of itself is a YA anomaly). 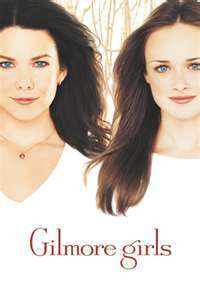 You don't find Gilmore Girl references in most YA books, but it's hard to have a Lorelei if the mom's MIA for the whole series. By the end, I was flipping the pages like the book was on fire and it held the lottery numbers for the Mega-million Jackpot. As I've gladly noted in previous reviews, I love it when an author (with a book destined for a sequel) still does the responsible (and non-Sideshow-Bob-emotional-hi-jacking) thing by wrapping up the central mystery within the first book. Answer some questions, please. This isn't an episode of Gossip Girl (although, you know I love GG, but at least I only have to wait a week to get my answers...). 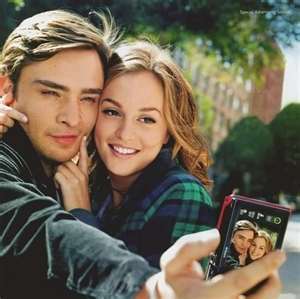 A cliffhanger with Chuck and Blaire is one thing, but if I have to wait more than a year to get the scoop, I tend to feel cheated. Hand's characters are ones I care about and are not only all-around non-irritating, but I actually really like them. Clara is a smart girl (as so many YA heroines are), but doesn't act like she's had an emergency frontal lobotomy the first second she meets a boy. One of my favorite things about Unearthly was the choices Clara made at the end (I actually let out a whoop). 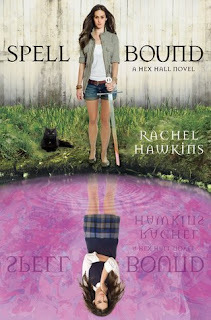 I'd love to get into it more because the poor choices of YA heroines is one of my favorite and well-worn soapboxes, but I'll refrain from spoiling it for you. Ultimately, I found Unearthly to be finely written, fast-paced and interesting. I'll be the first in line for the sequel to see where Clara's destiny is taking her. 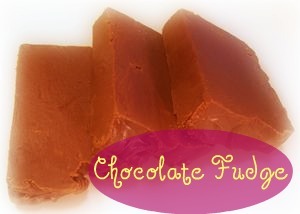 Every flavor starts with the same five ingredients and it may not be good for you, but it sure is yummy! Great review! Seems like you knew to comment on all the things that would attract me to a novel and mention the lack of many of the things that annoy me :). I really want to read it now.